There is a correlation between the circumstances of people’s lives and how happy they are. When you ask people about their most cherished values in life , “happiness” is always at the top of their list. However, unhappiness does not seem to be the exception today – it’s practically the rule. Why? Because human nature is insatiable. In order to be happy, we first have to battle ourselves. Not only do we have the right to be happy, we have an obligation to be happy. Our happiness has an effect on the lives of everyone around us-it provides them with a positive environment in which to thrive and to be happy themselves. Why have Jews been the object of the most enduring and universal hatred in history? Why is the Jewish state the most despised country in the world? 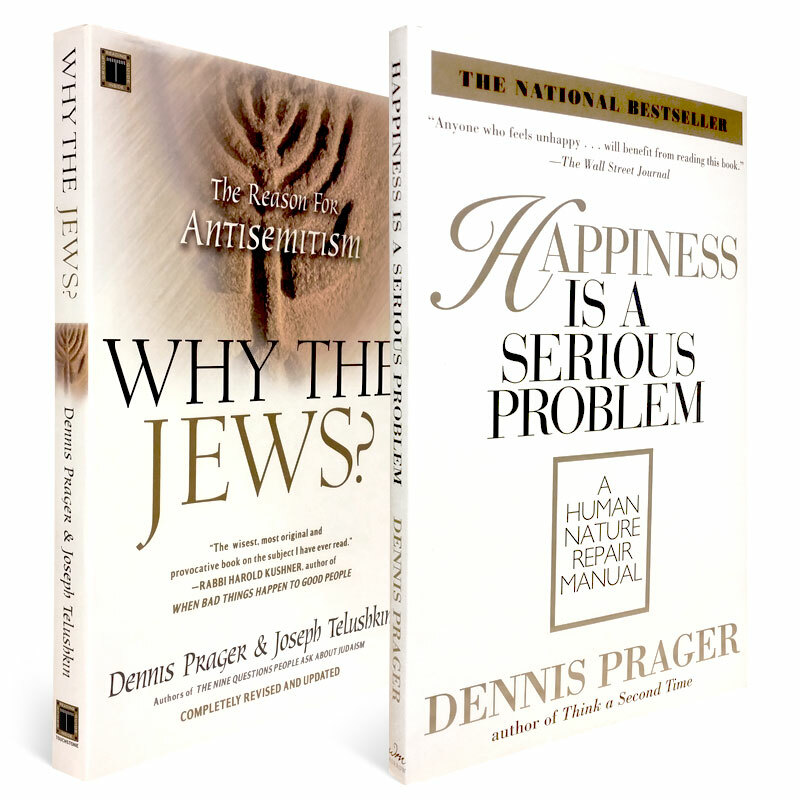 Dennis Prager and Joseph Teleushkin, authors of the widely acclaimed The Nine Questions People Ask About Judaism, take on these momentous questions. Why The Jews? discards conventional explanations of antisemitism to argue that its root causes are, paradoxically, the very convictions that have ensured Jewish survival: the Jewish conceptions of God, Law, and Peoplehood. 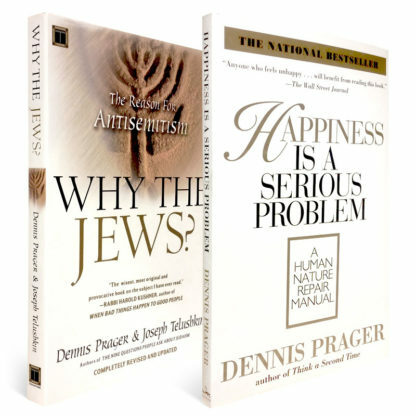 Drawing on extensive historical research, the authors reveal how these distinctive Jewish values have precipitated universal antisemitism by making the Jews, and now the Jewish state into outsiders-challengers-to other people’s Gods, laws, or national allegiances.